Want to know how successful a writer is? 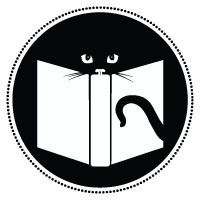 Take a look at their website, that’s a clear indication of how many books he/she has sold. How can I make this bold statement? 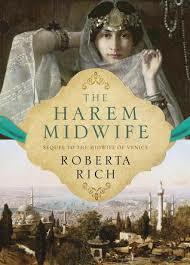 I’ll give you an example-take Roberta Rich, the author of The Harem Midwife, sequel to the popular Midwife of Venice released a few years earlier. I read the Midwife of Venice when it came out, and I vaguely remember enjoying it, which is a sign that the book was actually very good. Bad books I typically don’t remember at all, because once you read over 60 books a year, they really start to blend together. So before I picked up this book I knew that I had enjoyed a previous book by the same author, which really bodes well when writing a review for their second book, you tend to give them the benefit of the doubt. When I decided to write a review for this book, I wanted to do a bit of research on it before I started writing which is what led me to Rich’s website. As you will see, her website is quite nice. The graphics, etc. are way better than anything an amateur could devise, or get with a free web program (much like the one I’m using, I’m not ashamed to say!). Which as you can probably tell, only leaves her with one option-paying someone to create the webpage for her. A little publisher insight here: big publishing houses with healthy marketing budgets will create sub-sites for their big authors because they can afford to. However, the books have to be successful enough to warrant this kind of expense, and spoiler alert: 99.9% of books are not bestsellers. In some cases, the publisher will put a small amount of money towards the website, and it’s up to the author to maintain the site once it’s created, or find someone to do that for them. In most cases, the publisher will recommend the author do the majority of his/her online marketing themselves using social media. And let’s not even mention the authors who don’t bother to create their own website, long time readers of this blog know how I feel about that issue. The above is of course a very educated theory I hold, but I welcome any publisher feedback to tell me I’m wrong. In fact, I welcome any publisher who reads this blog, they might as well, I talk about them quite a bit. Anyway, back to The Harem Midwife. I enjoyed this book, it was short and lively, and female character construction is one of Rich’s strengths. 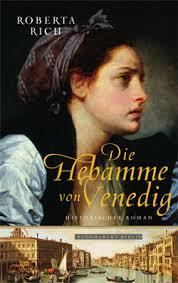 The protagonist Hannah is continued on from The Midwife of Venice into The Harem Midwife (perhaps the title of the books already gave this away), but I think this is one of the reason’s of Rich’s success. Women (the target audience of her work no doubt) love Hannah-she’s strong willed and talented, yet loves her husband very much and is still obedient to him, in keeping with the time period. Her personality is thoroughly developed as this second story continues, and although the stakes are not as high in this book, my inner feminist cheered along with her when she comes out on top. Although these books can seem a bit fluffy from the outside, they appear to be as historically accurate as possible, to my untrained eye at the very least. The storyline includes brutal, almost disturbing events, however most will admit that this is a fair assessment of that time period, not many would argue against the fact that life was dirtier and more painful before our modern conveniences. Rich doesn’t shy away from these descriptions, which is another reason why I wouldn’t simply label this ‘chick lit‘. This book came out in 2013, and I just got around to reading it now, so I apologize that this review is not more timely, but if what I’ve written here was piqued your interest at all, I suggest picking it up.